As part of our unique pre-qualification process, we get information either from direct interview or via allowing seafarers to fill up our online seaman loan application form to determine their crewing / manning agency. That is because currently, all lending company providers for maritime loan in the Philippines (including banks) only allow duly licensed and accredited sea-based job and recruitment manning agencies to qualify to apply for seaman loan. We have the list here or you can read them all below to see if your agency is accredited by the Philippine Overseas Employment Administration. 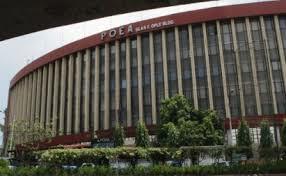 In this regard, you may find out instantly if your crewing agency is accredited by POEA by taking a look at our list below or downloading a copy of it. This automatically moves your qualification one step forward to qualify for our seaman loan. On the other hand , if you want to apply for mairitme job, please visit our recommended page here – http://www.jobspoea.com/. To download and get the document, please enter your basic information and details. This is for the purpose of avoiding spam requests to our website. Please fill up basic form details below and we will send you a copy of the document in your email which you can view using your internet browser as soon as we receive your request.